1. The people were not flogged, but the animals were flogged so that chaos would follow. The money tables were overturned in order to mix every merchants money with everyone else's. Historians tell us that the whole thing was about selling sacrifice animals to proselytes from far away, and the fees changed were extortionist. 2. Jesus showed no mercy on men who profaned the house of God. 3. The house of God was to be a place of prayer, not commerce and money grubbing. King James of England, long ago, made a law that no fairs or military musters could be held on church property. If he figured that out, we should be able to. 4. There is a time to make trouble and destroy order, that is, as evil men would define order. The chaos made by God is a ministry. So, what does that mean to us today? 1. We may not attack people carelessly, but we can destroy their program if it blasphemes the Word of God and Apostolic teaching to the Church. 2. Money gathering in the local church is still a great evil, and many saints are driven to poverty by the leaders and jack boot preachers who lust for cash. Extortion and enrichment of the leaders, especially the pastor, are hallmarks of the Fundamental Baptist and Charismatic movements, indeed all denominations. 3. Attack the money gathering and spending process if you want to help cleanse the temple. 1 Timothy 6:10 For the love of money is the root of all evil: which while some coveted after, they have erred from the faith, and pierced themselves through with many sorrows. No article we have as yet posted will raise more wrath among jack boot preachers than this one, for these boys lust mightily for the cash flow. They demand the saints pay up, and most preachers preach on giving more than any other subject. If we are going to make their life troubled and get their attention, we will have to hit them in the pocket book. We are talking here about ALL tithing. There is no such thing in the teaching to the Church, in fact, not anywhere in the New Testament except BEFORE the cross where Jesus is rebuking the Pharisees. Faith Promise giving is a crap shoot which is NOT based on giving according to the blessing past, I Cor. 16, but is based on expectations in the future. This is a process of trying to coerce God into doing what I want him to do with my finances. This is blasphemy of God and his order for us. The sheering of the sheep, as practiced in most churches, is NOT found in the New Testament. It is a latter day throw back to the Inquisition when the Whore of Rome thrashed their members and tortured them and shamed them into giving and giving until they were broke. 1 Corinthians 16:1 Now concerning the collection for the saints, as I have given order to the churches of Galatia, even so do ye. 2 Upon the first day of the week let every one of you lay by him in store, as God hath prospered him, that there be no gatherings when I come. 3 And when I come, whomsoever ye shall approve by your letters, them will I send to bring your liberality unto Jerusalem. Paul did not touch the offering. There are some churches around where the pastor teaches that tithes and offerings are to be handed directly to the pastor, preferably as cash. Only the most stupid gullible fool would imagine this is somehow a biblical concept. It is, in fact, only one thing-- robbery of God. The preacher will spend the lion's share on himself. So, we are now offering some ways you can disrupt the money matters of the local church. I have tried to make these methods instructional to pastors and the saints as you do them. I have also tried to make sure each method actually accomplishes some good for the saints or those in real need. And, lastly, I have tried to help you take money away from the slow bellied fire breathing money grubbers and direct it to those the Bible says should receive it. I am particularly troubled that all churches these days put the widow, the orphan (fatherless), and the stranger in last place. For this, God destroyed Israel, and so if we force churches and greedy preachers to help the right people, God may have mercy on us. I must warn you though that you may be cast out of the synagogue in a flash for doing these things. You may be sure that Jesus' cleansing of the temple was high on the list of offenses the Pharisees and High Priest held against him. Touch the cash, and you are trash. Nevertheless; there is a possibility that you may help a pastor who is still willing to take counsel. 1. There are pastors who are able to be entreated. On these men you need to be quiet and use methods below which will cause the pastor to ask questions so you can reason with him quietly. 2. There are greedy pastors who do not take counsel and will rage when their money grubbing is questioned. Use the more open and bold methods below, and brace yourself, for you will be excommunicated eventually. 3. The worst are the pastors who are actually embezzling and robbing the treasury, while others are actually selling things in the church house to pocket the profits. Have NO mercy on these men, and report them to the authorities and the IRS. They are worthy of being destroyed. 1. Always give cash. You should never give checks, and do not use offering envelopes the church provides. When you give so that you get a tax deductible receipt for your giving, you are not giving with a pure heart. You are using your giving to reduce your tax payments. If you love Caesar that much, send him a check occasionally. Keep your giving secret, as Jesus commanded: Matthew 6:1 Take heed that ye do not your alms before men, to be seen of them: otherwise ye have no reward of your Father which is in heaven. 2 Therefore when thou doest thine alms, do not sound a trumpet before thee, as the hypocrites do in the synagogues and in the streets, that they may have glory of men. Verily I say unto you, They have their reward. 3 But when thou doest alms, let not thy left hand know what thy right hand doeth: In our home, whoever gives the cash for the Lord's work is discouraged from telling the others what has been given. We NEVER tell the preacher or any other saint. Use a plain envelope to put the cash in, or use the church's envelope, but do not write your name on it. If the preacher or treasurer asks if you want a receipt, or if they ask if you are giving or tithing, tell them that you give cash. Every time they bring the subject up or nag you about giving their way, tell them you will not give anything for two months. B. Tell the preacher that if the Old Testament teaching on giving does not apply to the Church age, then he must stop preaching on tithing, for it is not in the New Testament. See if you can get a motion passed to help some widow who is faithful, or some kid who has no Dad. If they will not do it, then blast them for their lust to control the cash and not help those in need. Also, tell them that your future giving will be moved from the offering plate to the widows, fatherless, and strangers. 3. Use offering envelopes, and write a check, and designate all your giving to some widow and maybe some kid in serious need. This is now a scourge of thongs matter, and the secret giving of 1. above does not apply. If you do this, demand to hear about it in the monthly treasurer's report. Tell them that they are stealing from the widows if they redirect what you gave. Ask the widow during a business meeting if she has been receiving cash from the treasurer. If not, report this to the IRS. 4. Report all gross irregularities to the IRS. This may seem extreme, and it is in a way, but you are not dealing with a small matter. Giving that is directed into deep pockets tells you that your pastor and other leaders are thieves, and they are very likely not even born again. Any way you can destroy them is very helpful, and the others will see this and fear God and Caesar. Demand an audit if it is not being done, and demand it be done by a professional who is liable for prosecution if he plays games. Let any auditor used by the church know that any tricks on his part will be reported. Do gifts go to the pastor instead of a pay check? Turn him in. If the church is paying his insurance and other benefits, he is an employee, especially if the church is a nonprofit corporation. Do the missionaries get what the pastor and treasurer say they actually get. There are preachers out there who tell the church a missionary is getting $300 a month, and then the missionary kicks back $100 or only receives $200. The missionary knows the scam, but he is part of the thing and says nothing. 5. Faith Promise is NOT biblical giving. 1 Corinthians 16:1 Now concerning the collection for the saints, as I have given order to the churches of Galatia, even so do ye. 2 Upon the first day of the week let every one of you lay by him in store, as God hath prospered him, that there be no gatherings when I come. You are supposed to look back at your blessings, and give, NOT gamble on what you think you will get. Only God knows that. So, if your pastor uses Faith Promise, fill out a pledge card and put down $60,000, and have a couple friends do the same thing. This will drive the preacher nuts, for he will not know if he can believe it. Each of you put the same amount down so he knows someone is telling him something. Let him stew in his juices. Never tell him who did it. 6. If you are authorized to buy at local stores for the church, and if you are ready to be excommunicated anyway, go buy a big load of groceries, charge it to the church, and deliver them to widows and needy people in the church. Tell them this is a gift from the church. Jesus scattered the money changer's cash, and they may well have ended up losing money in the deal. Too bad, the wicked do not deserve any consideration. A. Rush up and loudly demand to know why he dips into the offering plate. If he smarts off at you, ask him to pass the plate around to the widows in the assembly so they too can take from it. If he has a big belly, as most preachers do, point out that the widow is in more need until the day she weighs the same as the pastor. Be facing the door when you do this because you will be booted at once. B. Loudly go up to the pastor and say something like this, "Pastor, I had no idea you did not get enough pay. What a shame you are forced to steal from the offering. Here, pastor, let me give you more so you can stop sealing." Take out your wallet and hand him a $20 bill. Turn, and walk away fast so he is left looking like a fool. C. The quiet method would be to go up to him later and tell him you saw him dipping into the plate before it was counted. No matter what song and dance he gives you, tell him you will be doing all your giving personally to the widows, fatherless, and strangers in the church. If the pastor takes the offering and counts it alone, he is a thief. Use the above methods in some way. 8. Send needy people in the community to the pastor, and tell them to ask the pastor for food or some assistance. This will drive him nuts, and he will have to decide if he will give up a Big Mac for a widow. 9. When the preacher starts begging and demanding more giving, walk to the front of the church house, and drop a handful of pennies into the offering plate or all over the communion table and go back and sit down. Say nothing. If you feel up to it, get thirty quarters (or high value white coins in your country), and walk up and count them out loud, one through thirty, and let them drop on the communion table. Turn and walk out of the church house. 10. African method: In parts of Africa and other nations, the Christians bring their offering in kind, that is, they bring a bag of beans or corn, a dozen eggs, or a chicken, etc. You may want to do this in order to be sure your giving gets to the needy. You could bring something from your garden, or bring something you bought at the store. Bring a coffee maker with the name of a poor family on it and set it on the communion table. Bring some new clothing and lay it up front during the offering collection with a kid's name on it. A godly pastor will not resent this, indeed, he will welcome it, for he will love those for whom you bring an offering. If the pastor responds positively to this, bring him something the next Sunday. If the slow belly tells you that this kind of giving is not a substitute for giving cash, go back to the pennies trick above the next Sunday. Or, bring a big bottle of "Sour Dills" next Sunday and take them up front. Also, leeks and garlics might make a statement. How about a bag of lemons? Be creative. 11. When school starts, bring a big pile of school supplies the Sunday before, and hand them out to kids who need them and are from needy families. Don't leave out the home schoolers. 12. Give a gift certificate from a very nice restaurant for the pastor's wife and a widow. Tell the pastor that his wife must take the widow so that it does not look bad. This is especially useful where the pastor's wife is a snob and makes no effort to help the needy. 13. Every Sunday the pastor preaches on giving (always carry your check book to church), make out a check for $1.39 to the pastor, and carry it up and hand it to him while he is preaching. Again, be ready to be given the ecclesiastical boot after only two such scourgings. 14. If your fellowship has one of these corny walk abouts when everyone who cannot be bothered with each other during the week walks around and talks sweet and shakes hands-- bring a big wad of $1 bills, and hand them out to the kids. Tell each kid to buy a candy bar with it. 15. Drop by another church in the area, and hand the preacher a check for $20, and ask him to send it to your pastor without telling him who gave it. Then, write a check for $20, and give it to your pastor, and ask him to give it to the other pastor without telling who gave it. This is merely to make confusion. 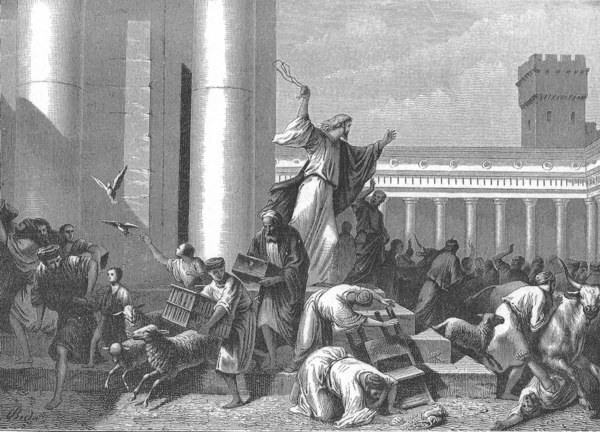 Jesus made havoc of the temple, and so should you, that is, if money is the center of church life and the preaching. 16. Order a big load of $2 bills from the bank, and do all your giving in a plain unmarked envelope with $2 bills. Drive them nuts trying to figure it out. 17. Go to the bank and ask them to get you $50 in foreign currency, like Pesos from Mexico. Or get it across the border or from friends who travel. Drop it in the offering plate. Sure, this is silly, but so is preaching tithing in the Church Age. They deserve the confusion. 18. Pledge $20 a month to a missionary, who will be a kid in the local public High School, to buy tracts. Pick a kid with zeal, and let him know you are praying for him. Ask him to let you know what happens, good or bad. Then, in prayer meeting, ask people to pray for "my missionary, Billy Jones, who hands out tracts at school." How can the preacher complain. You might even help the preacher learn something important, and if some other kid ever gets saved, the whole church will learn the missions is next door too. 19. If the pastor neglects some need or opportunity to help the Lord's work because it is not his favorite cause, or because his belly comes first, designate your giving to the thing he neglects. Demand an accounting from the treasurer for this. 20. Designate $500 for a college fund to be kept for a student in the church toward college expenses. By law such a fund cannot be touched by anyone but the student when he turns 18, not even his parents can touch it. Warn the treasurer that it is fraud to use the fund for any other purpose. Encourage other members to add to the fund. This will drive a greedy preacher nuts that there is a fund he cannot abscond with. 21. In the South of the USA, designate a gift to be sent to a Black Church in the area, that is, if you are in a White church. In redneck territory, designate the gift for a Hispanic or Chinese congregation. 22. If the preacher has a money making scheme in the church house, as in Jesus' day, demand an accounting from the treasurer, and ask if the pastor declares his profits to the IRS. If not, report them to the IRS yourself. A nonprofit corporation is not allowed to have any profitable enterprises for the benefit of the members. 23. Regarding a profit making scheme, as in 22 above, if it is book or CD sales, next time visitors come to church, hand out books and CDs to all the visitors, and tell them that the books are free gifts from the church. If the preacher complains, show him, Matthew 10:8 Heal the sick, cleanse the lepers, raise the dead, cast out devils: freely ye have received, freely give. Well, there are some "scourges" you can use to break up the money grubbing lust in the local church you attend. Some are serious ways to give, while others are pure disruption. Try to make the scourge method fit the temperament of your church. If the preacher and leaders are mindless money grubbers, the extreme chaos causing methods are great. If the preacher is known to take counsel, try to stay with the methods which can actually transform the church life and glorify God and be a blessing to those who need the help most. It is time we learn that giving is to the Lord, not to the preacher. The gifts were given to the priest, and he then gave them to God. Today, the gifts are given to the pastor, and he spends it on himself and his private lusts. Even building projects are to glorify the preacher and make him look good in his resume. A preacher who does not give of himself, and of his substance, over and above the rest of the saints, does not know Christ, for that is the manner in which Christ gave of himself. By that standard there are not many preachers who can talk about Jesus Christ and giving, right? So, before you leave a money grubbing local church, consider making some God honoring chaos, just as Jesus did in the temple.